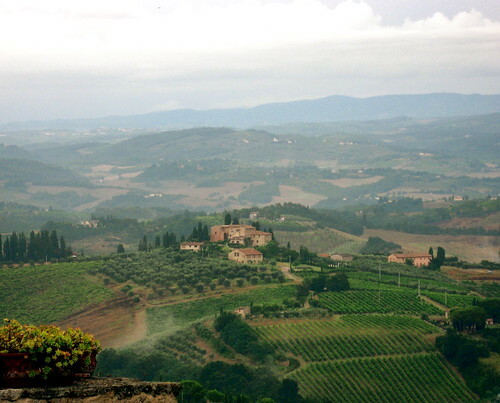 On the ride from Siena to San Gimignano, we were treated to a November-like torrential downpour, and even hail! Luckily, it had already passed through San Gimignano by the time we arrived. 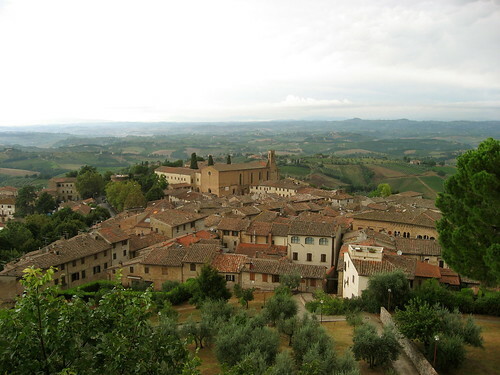 There were some lovely views of the surrounding countryside from the hilltop medieval town. 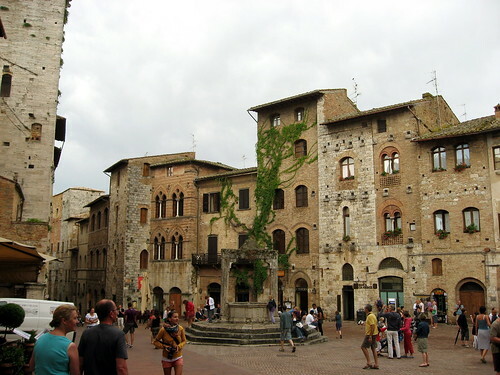 San Gimignano is a tiny, well-preserved medieval town. We only had an hour to look around, which felt a bit rushed. Most of the streets looked something like this... filled with tourists. 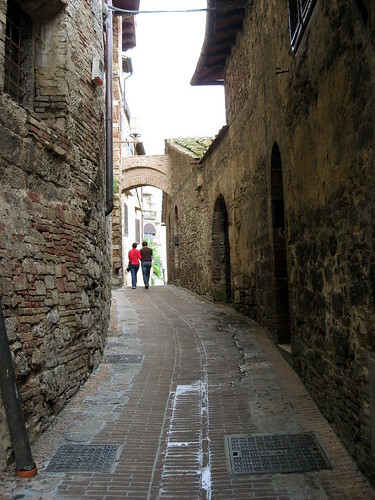 But it wasn't very hard to wend your way into little side streets and laneways that were deserted, or nearly so. Exploring off the main streets is how I found my way up to a lookout point atop an old wall. 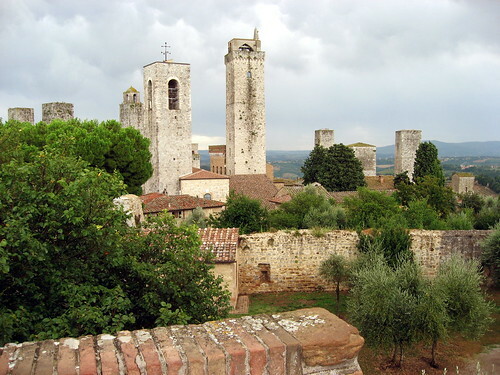 Of course, what San Gimignano is famous for is the towers! There are 14 of them. Apparentely, in most other cities, the towers from the same time period have all been destroyed due to wars or just new construction. 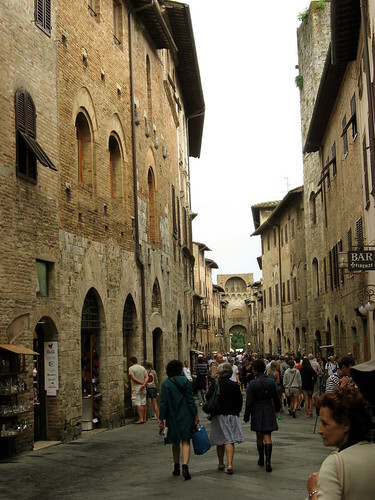 You can see all my pictures from San Gimignano in my trip to Italy set.